Jesus Christ has made an indelible mark on human history and He continues to do so through His followers. Yet many people do not realize that the values western democracies are built on originate in the life and teaching of Jesus – the equality of all, servant leadership, care for the poor and marginalized, to name just a few. In this series, host Karl Faase travels to the UK, USA, Singapore, India and Australia, interviewing authors, academics and modern-day game changers such as Eric Metaxas, John Ortberg and Christine Caine. 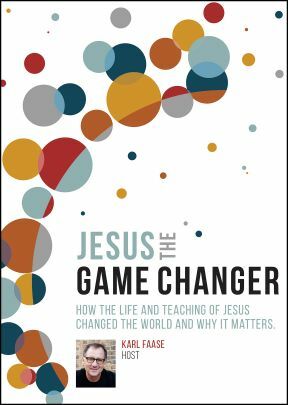 Faase and his guests explore how the life and teaching of Jesus changed the world and why it matters. Ten 28-minute segments on two discs.